Star Micronics' StarPRNT SDK allows users to utilize Star Micronics printers in tandem with Apple iPad®, iPhone®, iPod Touch®, and Android™ devices to generate receipts and perform functions in retail and restaurant environments, and is easier for developers to work with than ever before. StarPRNT supports Swift programming language for iOS; this will allow ISVs to develop with whichever language they prefer for iOS applications. The new StarPRNT SDK also features UTF8 Unicode support, multi-language receipts, humand readable APIs, receipt scaling, and digital receipt options with Star Micronics' AllReceipts™ digital receipt solution. 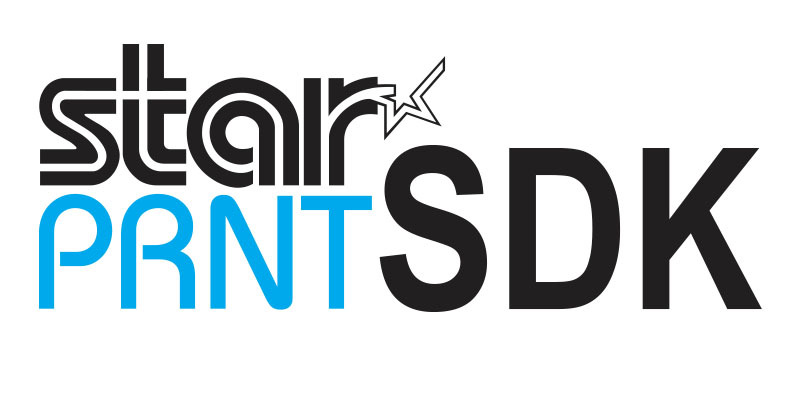 The StarPRNT SDK supports all popular Star product categories in one SDK including thermal printers, kitchen printers, portable printers, mPOP™, kiosk printers, and AllReceipts™. The StarPRNT iOS and Android™ SDKs are easily integrated with Star's AllReceipts™, ProxiPRNT, receipt printers, portable printers, and all-in-one peripheral, the mPOP™. Available for iOS Apple and Android™ devices StarPRNT SDK enables printing from any Star Micronics printer using any Apple iPad®, iPhone®, iPod Touch®, or Android™ device. StarPRNT SDK V 5.0 provides support for Swift programming language for iOS, and the latest programming language for Android™.